I need to be skinnier. love myself. Prime goal : a healthy, authentic human being! In anorexia, you often equate thinness with self-worth but it doesn’t work that way. Becoming a worthy person takes a lot of hard work including building meaningful achievements and successful problem solving. Authenticity is never achieved by taking unhealthy shortcuts that lead to poor health, ruined relationships, depression, obsession, anxiety, guilt, and self-loathing. Authentic human beings may be attractive — there is no law that says they have to be ugly — but physical attributes are their least important qualities. They are reliable, strong, intelligent, confident, humorous and full of life. They have personal presence and make a lasting impact on people they meet. They are respected, and they respect themselves. This is the goal of treatment for anorexia — not just to eat normally, important as that is, but also to develop into a person of worth and substance. You may also think that anorexia has such a powerful hold over you that you’ll never be able to overcome it. But while the change is hard, it is possible. Admit you have a problem. Believe it or not, the food and weight-related issues in anorexia are just the symptoms of something deeper — things like depression, loneliness, insecurity, pressure to be perfect, or feeling out of control. Things that no amount of dieting or weight loss can cure. Identifying the underlying issues that drive your eating disorder is the first step towards recovery. Learn to tolerate your feelings. If following restrictive food rules made you feel safe and powerful; during treatment, when you take that coping mechanism away, you will be confronted with the feelings of fear and helplessness, that your anorexia helped you avoid. Reconnecting with your feelings can be extremely uncomfortable and can hinder recovery. The answer isn’t to return to the destructive eating habits you previously used to distract yourself; it’s to learn how to accept and tolerate all of your feelings—even the negative ones using mindfulness. Acknowledge the emotional damage you’ve suffered because of anorexia and challenge the damaging mindsets that are fueled by irrational and self-sabotaging ways of thinking. They don’t reflect reality. Anorexics are often perfectionists and overachievers. They’re the “good” sons and daughters who do what they’re told, try to excel in everything they do, and focus on pleasing others. But while they may appear to have it all together, inside they feel helpless, inadequate, and worthless. Through this harshly critical lens — if you’re not perfect, you’re a total failure; you have a hard time seeing shades of gray, at least when it comes to yourself. You believe if you feel a certain way, it must be true. “I feel fat” means “I am fat.” “I feel hopeless” means you’ll never get better. You hold yourself to a rigid set of rules (“I must not eat more than x number of calories,” “I have to get straight A’s,” “I must always be in control,” etc.) and beat yourself up if you break them. You jump to the worst-case scenario. If you backslide in recovery, for example, you assume that there’s no hope you’ll ever get better. Put your thoughts on the witness stand. Once you identify the destructive thought patterns that you default to, you can start to challenge them. As you cross-examine your negative thoughts, you may be surprised at how quickly they crumble. In the process, you’ll develop a more balanced perspective. Talk to someone who will support you as you try to get better no matter how impossible you find it initially. Don’t keep it a secret any longer. You may be ashamed, ambivalent, or afraid but it’s important to understand that you’re not alone. Stay away from people, places, and activities that trigger your obsession with being thin. You may need to avoid looking at fashion or fitness magazines, spend less time with friends who constantly diet and talk about losing weight, and stay away from weight loss websites and those that promote anorexia (Pro Ana sites). Seek professional help to regain your health, learn to eat normally again, and develop healthier attitudes about food and your body. Instead of focusing on weight as a measurement of self-worth, make health and vitality your goal. What does recovery from anorexia mean? One or more mutually satisfying friendships with healthy, normal people. Such friendships involve mutual give-and-take. Develop a sense of self, plus goals and a realistic plan for achieving them. Moving towards building a meaningful, fulfilling, and satisfying life. Learning to be kind to self and others, forsaking perfectionism, and confronting flaws and disorder with grace and understanding. Abandoning the drive to self-criticism or unrealistic performance. Recovery requires major commitments to (1) get into treatment, (2) stay in treatment, (3) make necessary lifestyle changes, and (4) resolve the underlying psychological and emotional issues that led to starving, binge eating, and/or purging in the first place. What is the treatment for anorexia? The first priority in anorexia treatment is addressing and stabilizing any serious health issues. 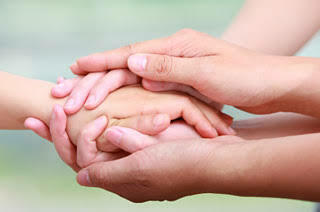 Hospitalization may be necessary if you are dangerously malnourished or so distressed that you no longer want to live. You may also need to be hospitalized until you reach a less critical weight. Occasionally, someone with anorexia may refuse treatment even though they’re severely ill and their life is at risk. In these cases, as a last resort doctors may decide to admit the person to hospital for compulsory treatment under the Mental Health Act. This is sometimes known as “sectioning” or “being sectioned”. Most of the people who refuse professional treatment make little or no progress. Up to 20 percent do not survive. From among the people who do get into treatment, and stick with it, about 80 percent either recover completely or make significant progress. Sadly, the rest remain chronic sufferers or they die. With treatment, a few people recover in a year or less. For a majority, though, treatment and the recovery process take three to seven years, or even longer. 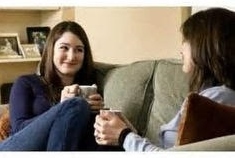 Usually treatment is more intensive at the beginning: several therapy sessions a week and perhaps even hospitalization. As progress is made, sessions are scheduled less frequently until, at the end, there may be only two or three a year. Relapses, especially in the beginning, are to be expected. A common scenario involves a person receiving treatment, leaving treatment, being successful for a while, relapsing, and then returning to treatment. The cycle may be repeated several times before recovery is stable. One shouldn’t be ashamed of the lapses. They are learning experiences that point out where more work needs to be done. The treatment for anorexia nervosa usually involves a combination of psychological therapy and supervised weight gain. It’s important to start treatment as early as possible to reduce the risk of serious complications, particularly if you’ve already lost a lot of weight. Before treatment starts, members of this multidisciplinary care team will carry out a detailed physical, psychological and social needs assessment, and will develop a care plan. Since every person’s situation is different, the “best treatment” must be “custom tailored” for each individual. A person with anorexia doesn’t need an authority figure standing over the table with a calorie counter. Because of the defensiveness and denial involved in anorexia, one needs to tread lightly. Avoid threats, scare tactics, angry outbursts, and put-downs. Bear in mind that anorexia is often a symptom of extreme emotional distress and develops out of an attempt to manage emotional pain, stress, or self-hate. Negative communication will only make it worse. Be nonjudgmental and ready to listen and support. Try to seek advice from a health professional. A number of different psychological treatments are available. They could be Cognitive analytic therapy (CAT), Cognitive behavioural therapy (CBT), Interpersonal therapy (IPT), or Focal psychodynamic therapy (FPT). Depending on the severity of the condition, treatment will last for at least 6 to 12 months or more. Anorexia doesn’t just impact one individual – it can have a big impact on the whole family. You can bring others—from peers to parents—into the circle of support. Family intervention is an important part of treatment for young people with anorexia. It focuses on the eating disorder and involves the family, discussing how it has affected them. It also helps the family understand the condition and how they can help. If you make yourself vomit regularly, the stomach acid damages the enamel on your teeth. Do not brush your teeth soon after vomiting to avoid further abrasion to your tooth enamel. Rinse out your mouth with water instead. Avoid acidic foods and mouth washes. Visit a dentist regularly for follow ups. If you’ve been taking laxatives or diuretics in an attempt to lose weight, cut down on them gradually so your body can adjust. Stopping them suddenly can cause problems such as nausea and constipation. There are no specific medicines for treating anorexia. Moreover medication alone isn’t usually effective. Conventional medicine uses anti-anxiety and anti-depression medicines (SSRIs or olanzapine) to treat associated psychological problems, such as obsessive compulsive disorder (OCD), anxiety or depression in anorexia. These are generally prescribed without going into the actual causation and can additionally result in severe side effects. SSRIs tend to be avoided until a person with anorexia has started to gain weight because the risk of more serious side effects is increased in people who are severely underweight. They must be used cautiously in young people under the age of 18. Recent studies indicate that use of antidepressants may cause children and teenagers to develop suicidal thoughts. Pressures of modern living — work, family, society, peers etc can give hardest of blows to your physical, mental and emotional health pushing you towards eating disorders. While their consequences can be devastating, the good news is, homoeopathy can offer an effective and long lasting cure. It addresses the patient in entirety/totality thus taking care of the anxieties, depression, obsessions, guilt and self-loathing that are all so prominent in such cases. a. It helps the patient regain the weight that is lost during the disease. b. It helps treat the psychological effects/fixations behind the deranged eating habits. c. The treatment helps to stop or curb the thoughts which can make the patient stop eating. This helps the patient stay out of relapses later in their lives too. There are more than 120 homoeopathic medicines which can benefit in anorexia nervosa. The aim of homoeopathy is not only to treat anorexia but to address its underlying cause and individual susceptibility. Several remedies like Antimonium crudum, Bryonia, Calcarea phosphorica, Carbo vegitalis, Lycopodium muriaticum, Phosphorus, Ignatia, Prunus s, Calcaria Ars, Natrum Mur, Arsenic album, Homarus, Ferrum phos, Phosphoric acid, Platina, Aurum Ars, Lycopodium, Lecithinum etc. are available that can be selected on the basis of causation, sensations, modalities and concomitants of the complaints. Each and every case has a “custom tailored” remedy which is just right for it, bringing a lasting cure. The remedies are non-toxic, not addictive, extremely economical and can be safely used in conjunction with other forms of medical treatment. When combined with the benefits of good nutrition, exercise and relaxation, homoeopathic medicines can provide the best optimum support. Always taper off the medicines which can give side effects – gradually – to avoid withdrawal symptoms, while the homoeopathic medicines take over and heal holistically.